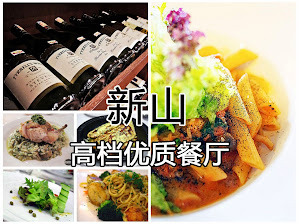 JB Foodie is grateful for receiving an invitation from the Management @ Vino Vino & Mr Wisley, to check out their outlet in Taman Molek. 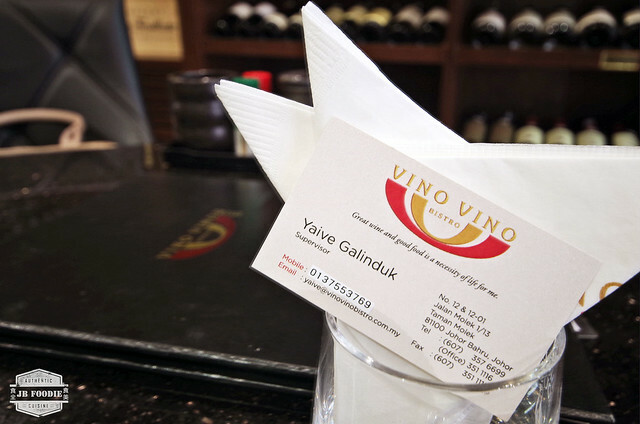 For starter, Vino is Italian for wine & boldly underlines the ambition and direction Vino Vino is heading for. 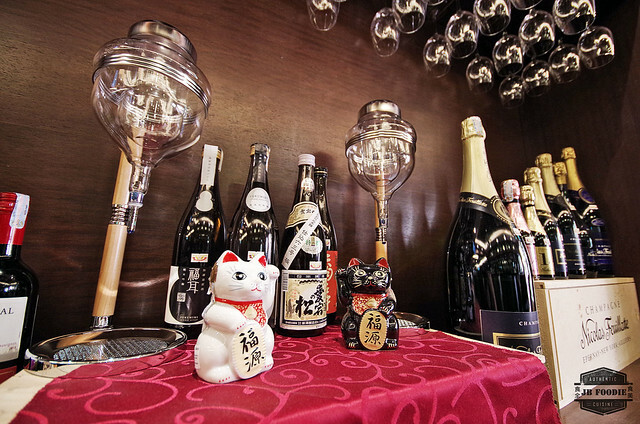 They feature an extensive selections of wine, sake and soju to those who appreciate the finer things in life. 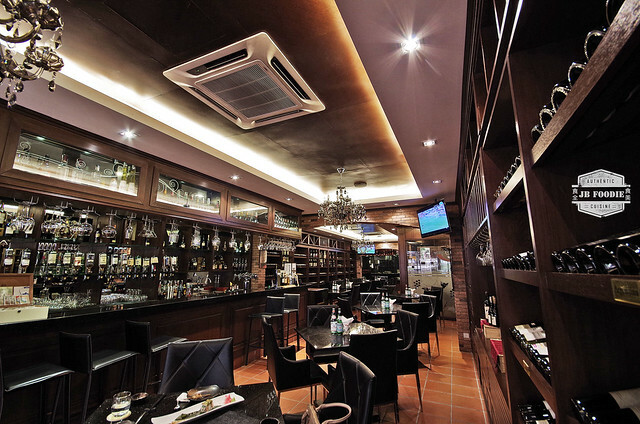 Smokers will be delighted to know Vino Vino have cordoned off an entire level on the second floor, so that one may eat, drink and smoke to their heart's content. 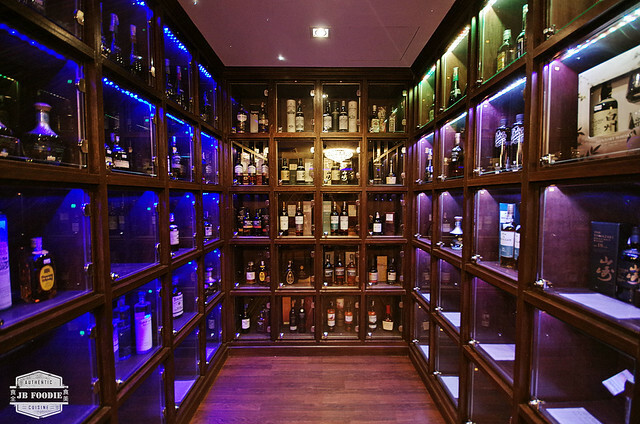 A sanctuary for booze on the upper deck of Vino Vino. 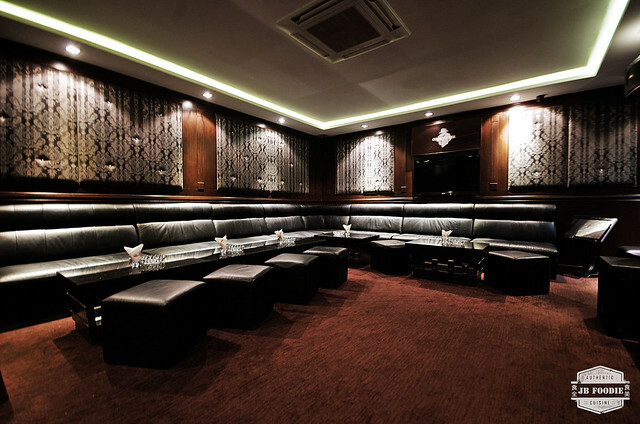 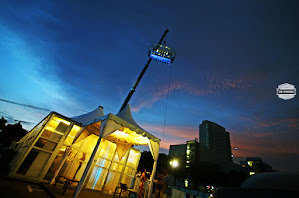 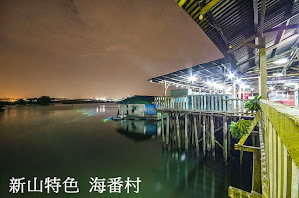 For consumers who are willing to go beyond RM1500, they have private KTV facilities available. 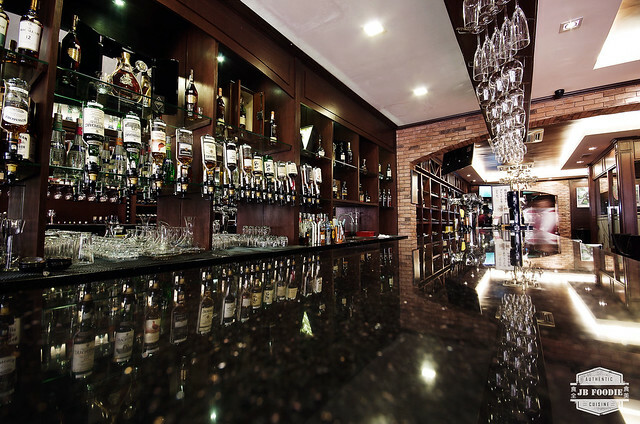 Marble top, bar counter at Vino Vino. 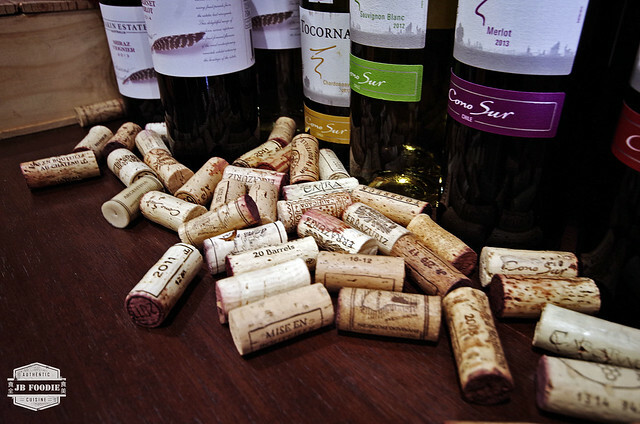 On the flow draft beer, if wine or liquor is not to your liking. 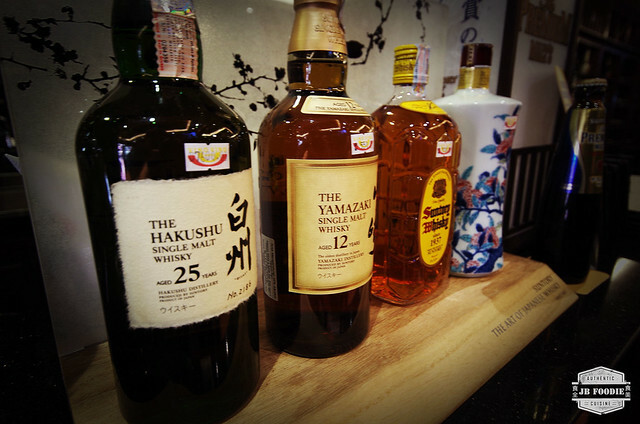 Introducing the multi-award family of Suntory Whisky. 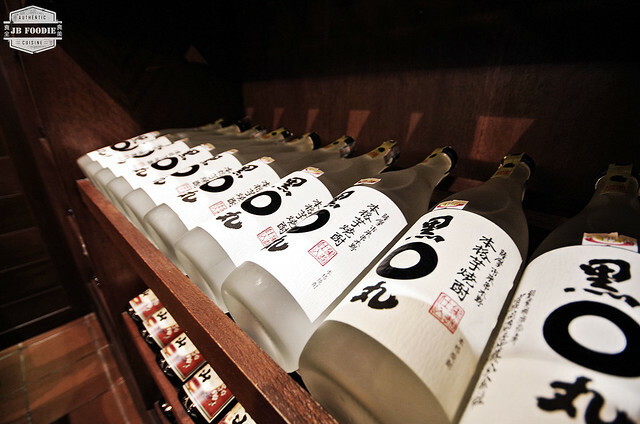 Japanese soju on the racks, distilled from yam. 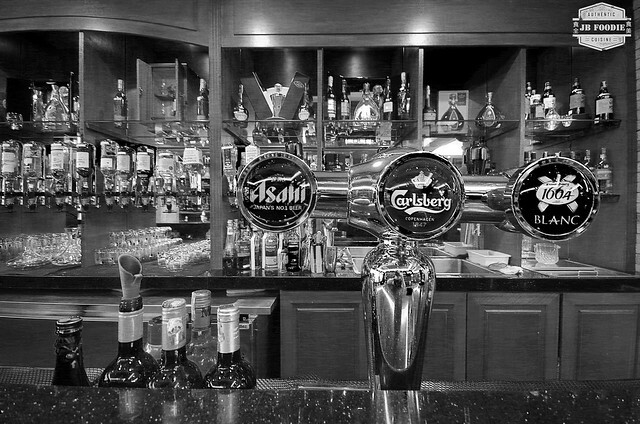 A carafe dispenser to keep your sake chilled. 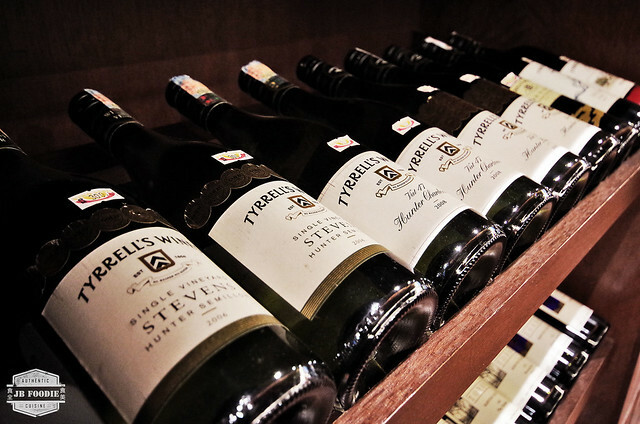 Countless racks of wine, limited only by one's preference. 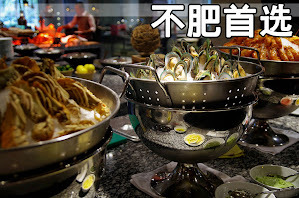 And from all regions across the globe. 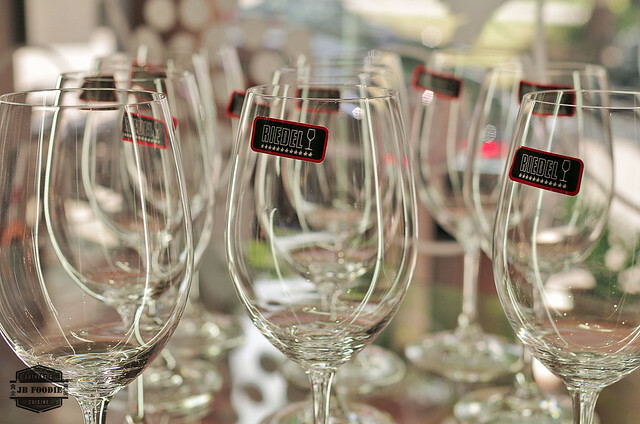 Wine glasses from RIEDEL - The Wine Glass Company. 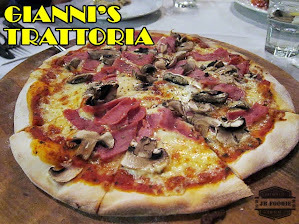 You gotta be a connoisseur to appreciate this. 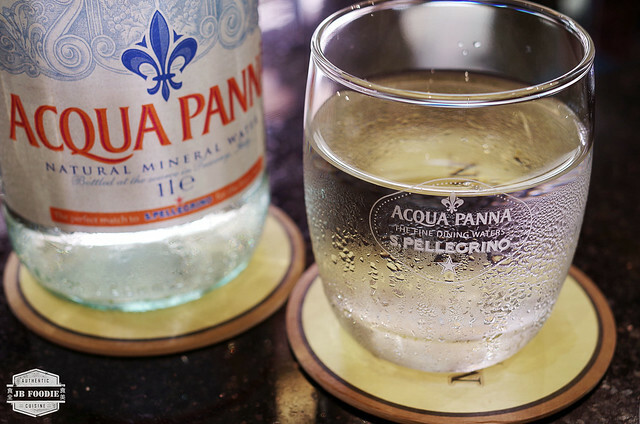 Bottled H2O from the hills of Tuscany. 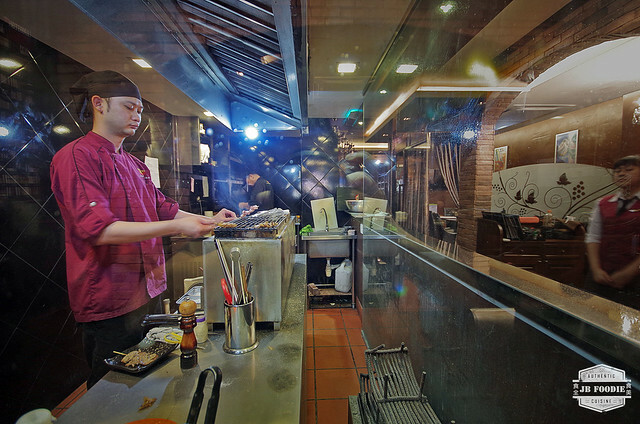 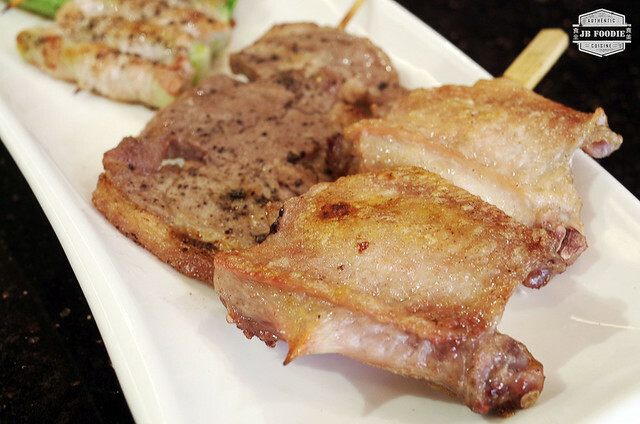 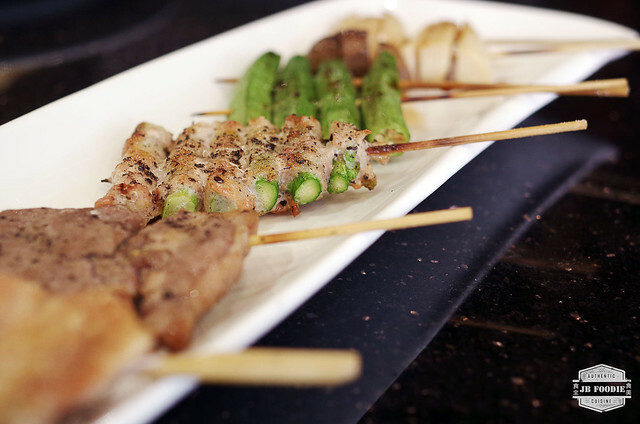 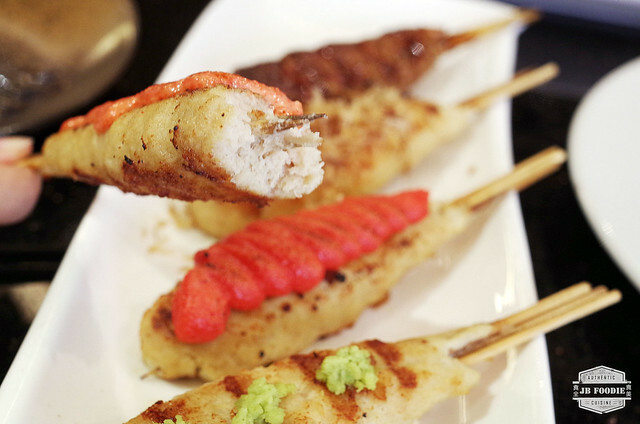 Yakitori on the grill, prepared with the finest ingredient and dedication by the kitchen. 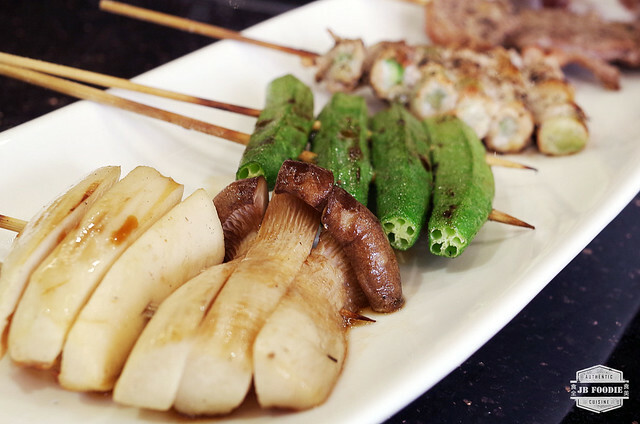 A splendid example of paying attention to every minute details, even the coal lighting up the grill was specially imported from Japan. 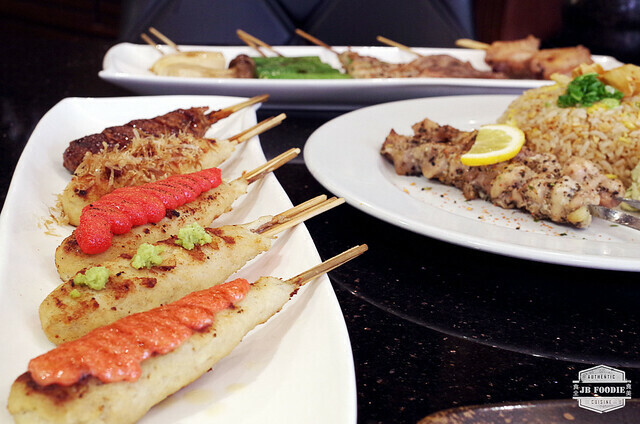 Grilled skewers in order from background to foreground. 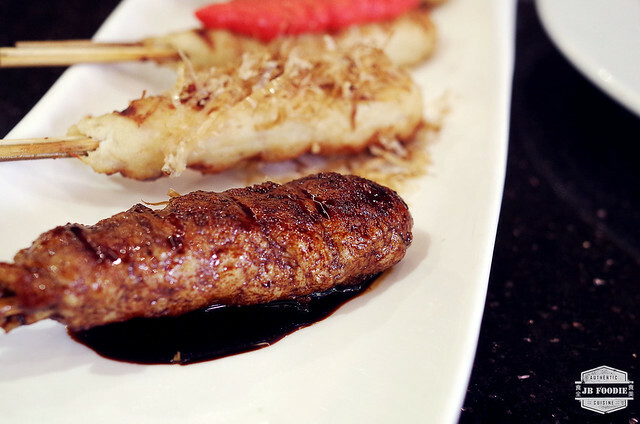 A different angle of the aspara maki (asparagus wrapped with pork). 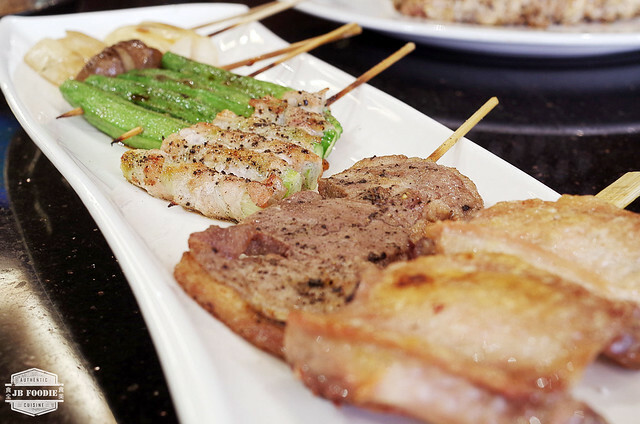 Introducing a new kid on the block, JB Foodie is lucky to be one of the first few tasters for Vino's soon-to-be-launched set lunch item. 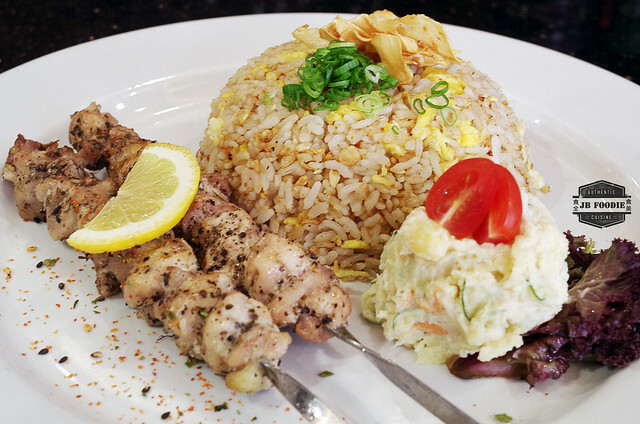 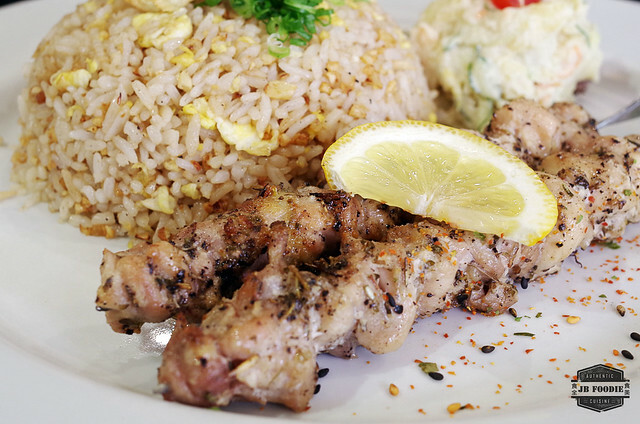 Chicken skewers with garlic fried rice. 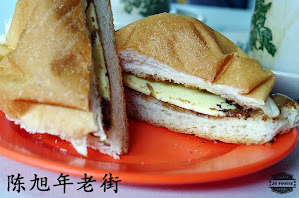 Estimated price is to be RM15.00. 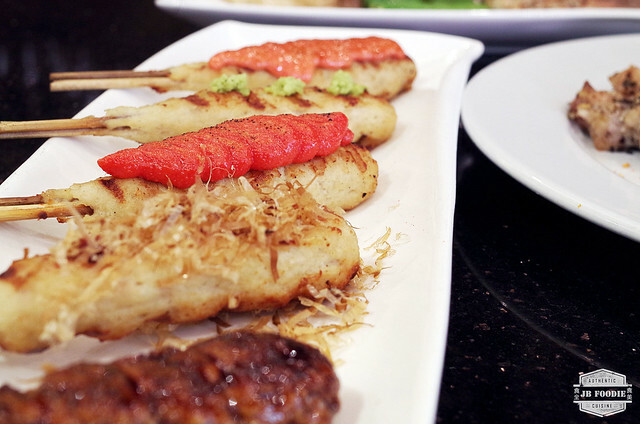 Close up of the chicken skewers, which were savory and grilled to perfection with the lightly charred bits. 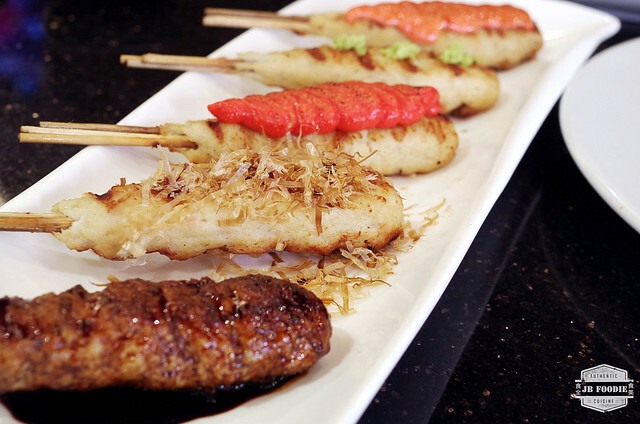 Assorted mix of Tsukune (chicken meat ball). 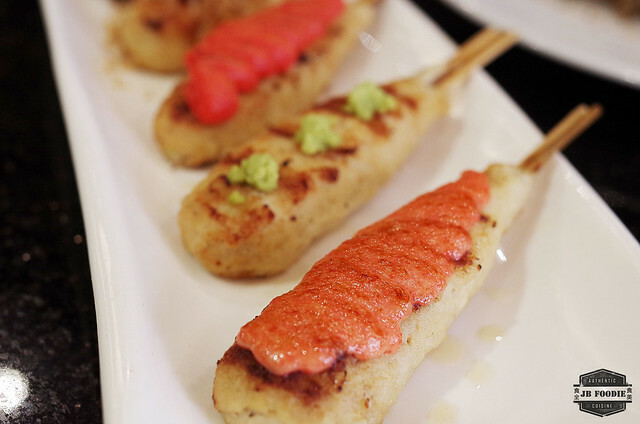 My favorite amongst the tsukunes - Tsukune Mentai Mayo, with its savory and rich mentai mayo sauce. 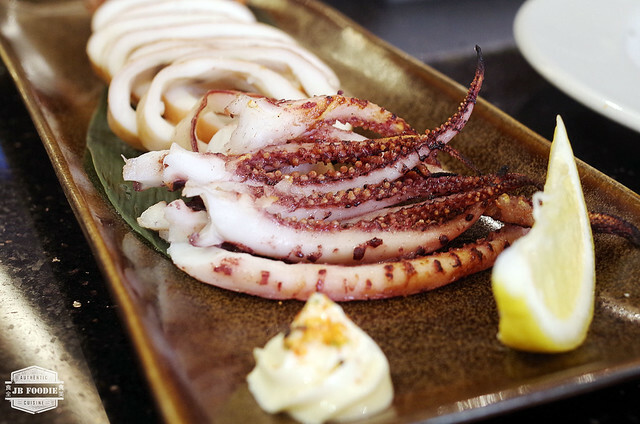 Surume Ika Yaki (Grilled calamari), lightly grilled with pinches of sea salt that accentuates the seafood freshness. 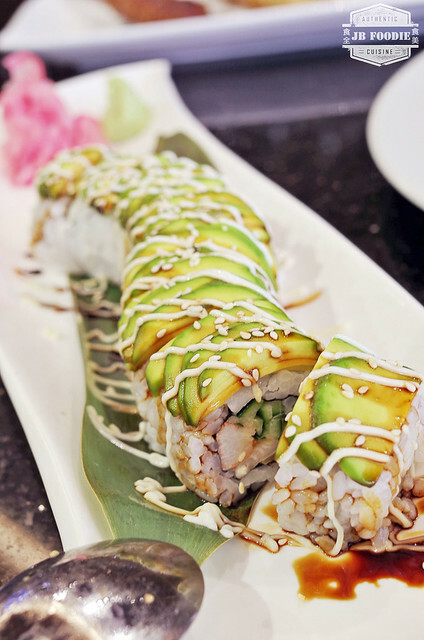 If your stomach has room for more after the yakitori, try out their Caterpillar Roll (Avocado, unagi & cucumber). 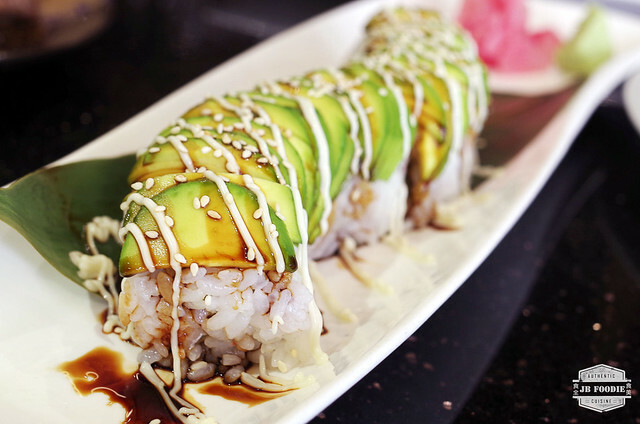 Avocado slices atop every inch of the sushi roll. 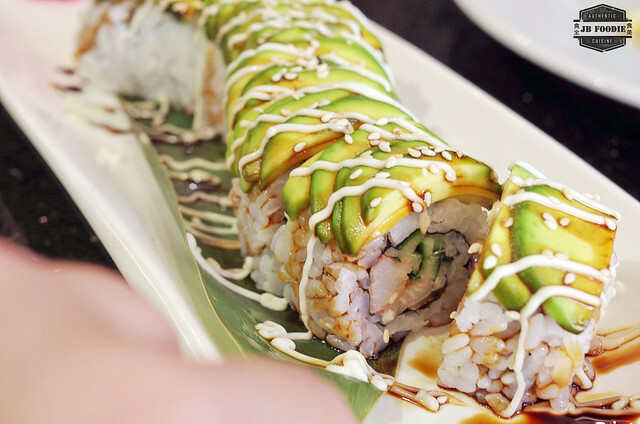 Close up of the sushi roll contents - cucumber and unagi (eel). 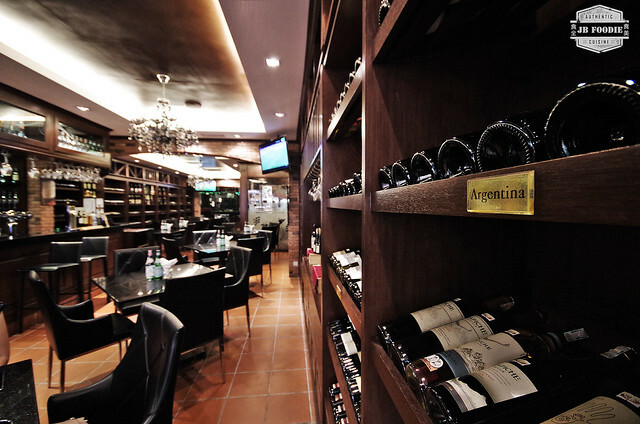 Cosy, classy and well renovated in every corners, nobody can be faulted if they mistook Vino Vino as a setup for fine dining. 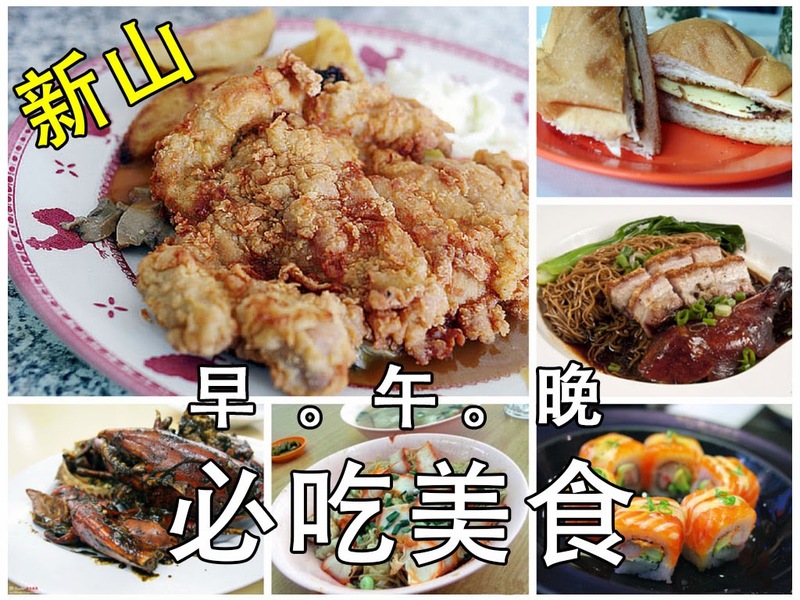 On the contrary, they are offering authentic Japanese cuisine at a reasonable price. 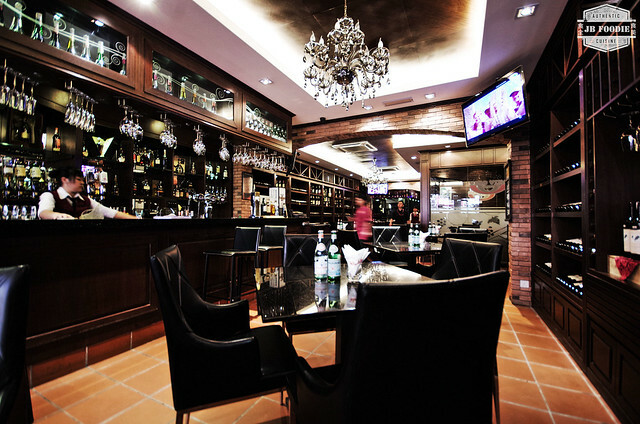 Vino Vino can additionally double up as a place to chill out with your friends over some fine wine, sake or soju. 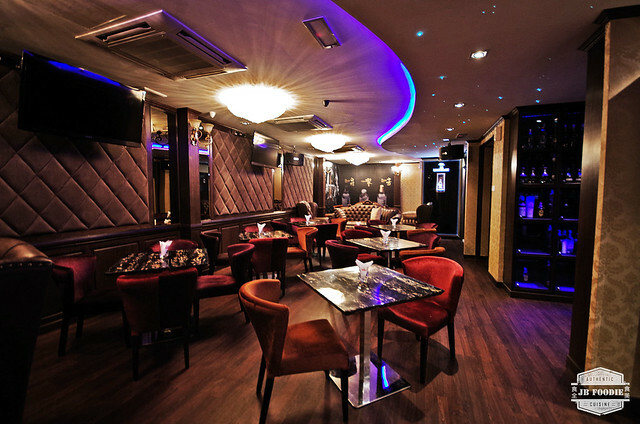 For inquiries and reservations, you may get in touch with Vino Vino management team.